Recruiting and retaining high quality STEM educators in high schools can be a struggle, and even more so in under-served communities of the United States, such as the school districts that fall along the US/Mexico border. Professor Etta Kralovec at The University of Arizona, South, is pioneering a contextualised approach to teacher preparation that is transforming science and mathematics education in this border region. In an increasingly technology driven world, science, technology, engineering, and mathematics (STEM) education is more important than ever and engaging tomorrows STEM experts in these topics early in their schooling is critical for ensuring a capable workforce in the future. Despite this need, many schools within the United States struggle to provide high quality STEM education to their young students. STEM education along the border between the United States and Mexico can be particularly challenging, as teachers are working in small communities with little or no access to STEM enrichment and uneven internet access. 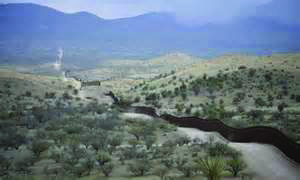 They are doing their best to support binational classrooms with limited support and resources. 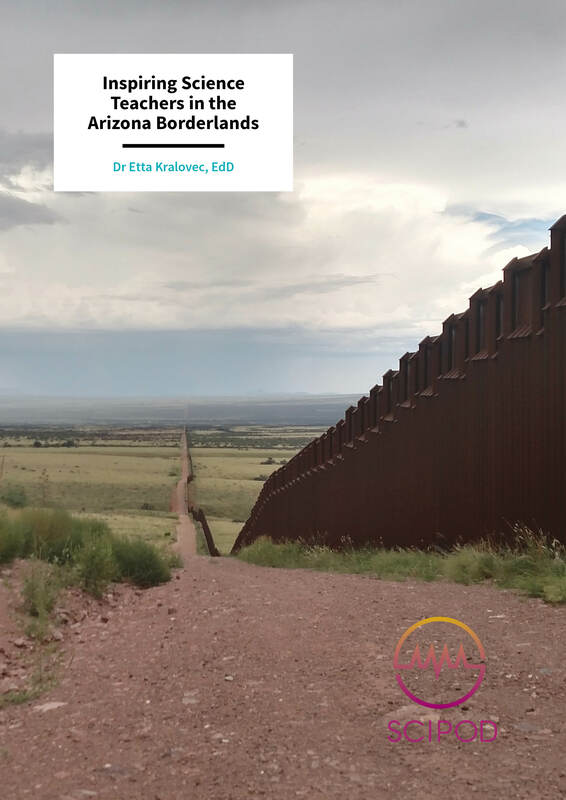 The Noyce Border Scholars Program (NBS), headed by Kralovec at the University of Arizona, South (UAS), works to prepare secondary school STEM teachers to work in the high-need schools on the Arizona border. 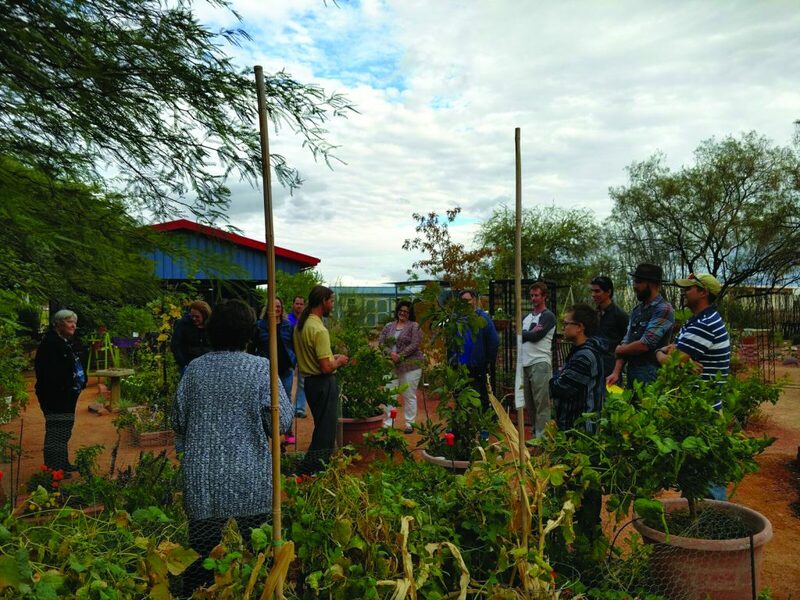 Formed out of a partnership between faculty at the UAS, Cochise College, and the University of Arizona pioneering research and educational facility, Biosphere 2, the program recruits STEM teachers into the UAS Masters in Education (MEd) program. The program provides specialised education with continued classroom and professional development support – preparing its scholars to provide top notch STEM education to middle and high school students in the Arizona borderlands. In the Noyce Border Scholars program, Kralovec has reimagined the Masters of Education (MEd) program at UAS to provide context-specific teacher preparation for STEM teachers in border schools. The new teacher intern certification track encourages a strong sense of community among the future educators and provides extensive mentorship and guidance for continuous improvement. ‘The aspect of multiculturalism and equity is the most exciting and rewarding aspect of this program. It is incredible to be able to hear others’ ideas and exchange ideas on how to increase these types of discussion in our own classrooms,’ MEd graduate. In their second year of teaching, Noyce scholars conduct their own research projects in their classrooms. These participant action research projects are aimed at increasing beginning teachers’ ability to conduct research in their classrooms. Often using student voice methodology, this research increases new teachers’ understandings of the educational issues facing their students. Recent research topics have included measuring student engagement and academic achievement in STEM subjects, engagement in Earth Science classrooms and student-designed biology inquiry activities. These projects are developing an understanding in new teachers of how students perceive their academic achievement, of the importance of building personal relationships with all students, and strategies to get more students involved in science. The work of these Noyce scholars will further expand the impact of this program, providing valuable insights that can improve STEM education in border schools around the world. The Noyce Border Scholars participate in Teacher Education Seminar (TES) sessions, a monthly seminar series for new teachers, is designed to help them tackle common teaching challenges unique to teaching in the borderlands. Topics have ranged from building an ideal classroom climate, to cultural sensitivity, to building better teacher student relationships, to understanding the impacts of migration on education. ‘The aspect of multiculturalism and equity is the most exciting and rewarding aspect of this program. It is incredible to be able to hear others’ ideas and exchange ideas on how to increase these types of discussions in our own classrooms,’ says an MEd graduate. Once a year, a day-long symposium brings international education experts to Cochise County, engaging community stakeholders, regional teachers and the public in conversations relevant to border education. 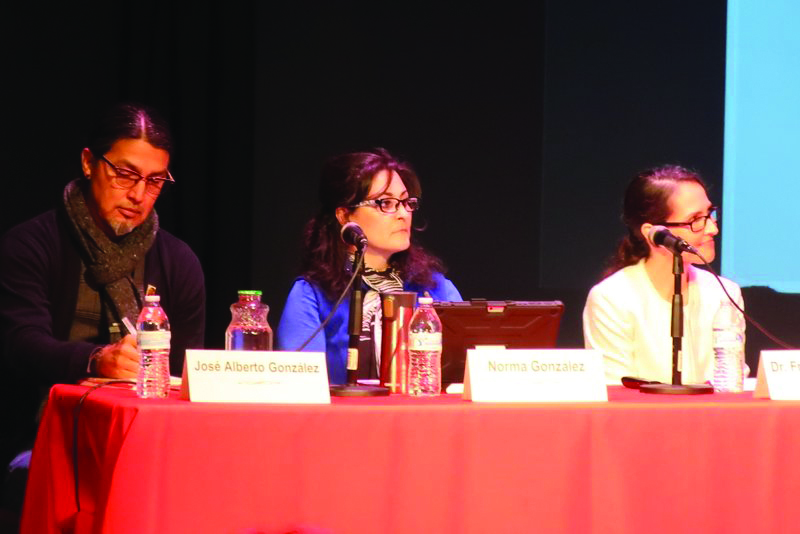 The Living and Learning the Border Symposium enjoyed its seventh year this February, where the content focused on engaging Latino Youth in the classroom. Representation matters, particularly in STEM fields, where young people from minority communities are less likely to encounter depictions of scientists that look like them in the popular media. One of the goals of Dr Kralovec’s work is to recruit highly qualified, underrepresented minority STEM teachers in border schools. To accomplish this aim, the program is targeting local residents and military personnel that are already residents of border communities. In October 2017 the group developed a strategic marketing plan to support the recruitment of teachers in their target demographics. The NBS team advertises on job finding websites and attends state-wide career and educational fairs. Marketing efforts have increased the number of applicants, but the greatest source of potential candidates has been word of mouth within the partner school districts. School district administrators have been the hub of recruiting activity, referring qualified applicants and helping the NBS team to identify which candidates might make the best match for the program. The NBS program provides professional development for scholars during their first two years of teaching through a collaboration with the UA Biosphere 2 research facility and STEM content specialists from Cochise College. These activities, led by co-primary investigators Dr Bonine of the UA Biosphere 2 and Dr Kristy Ritter of Cochise College, provide the new teachers with continued learning and novel approaches to pedagogical content knowledge and student engagement, equipping them with new tools and strategies to implement in their classrooms. Additional program partners have offered even more development opportunities to the scholars, providing a broad range of content that will enrich borderland classrooms, especially in the area of citizen science. This work has been further supported through a partnership with the UA Department of Agriculture’s Cooperative Extension. 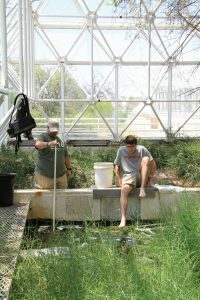 This has provided content on the logistical considerations for starting a school garden and resources to help secure garden funding and facilitate community engagement in Biosphere 2 summer experiences, that are shaped by teacher interest, with a continued dedication to helping students connect with nature. This program also offers scholars an immersive, overnight experience at Biosphere 2. Dr Ritter, spearheads the CirculoSOAZ Borderlands Math Teacher Circles, held seven times a year to provide scholars specialising in mathematics with professional development opportunities. She has been contributing extensive content to the blossoming program that is already having a powerful impact on the borderlands teaching community. The sessions are well attended, attracting math teachers from both sides of the border to form a unique multi-national group dedicated to improving mathematics education for their young students. In addition to the highly successful Math Teacher Circles, Dr Ritter is preparing a Teacher Technology Boot Camp to be held at Cochise College in the upcoming summer. The Boot Camp will help new teachers get more comfortable with leveraging technology to provide more engaging student learning experiences in mathematics classrooms. Other STEM enrichment workshops provided by partners of the program have offered a wide variety of additional learning opportunities to the Noyce Border Scholars. Project Wild, a partnership with the Department of Fish and Game, teaches students about wildlife conservation and environmental responsibility. Further, the UA Center for the Retention and Recruitment of Math Teachers offered twelve sessions to support mathematical pedagogy and Rethinking Schools’ Bill Bigelow ran a workshop on Bringing Environmental Justice into the Classroom, offering scholars techniques to bring current environmental events into their curriculum. The University of Arizona MEd Program supports a robust Professional Learning Community (PLC), built around the specific needs of regional teachers and open to all NBS participants. A minimum of two professional development sessions a month provide the Scholars with opportunities to learn, network and build collegiality. Content provides instruction on practical topics such as classroom management and lesson planning. 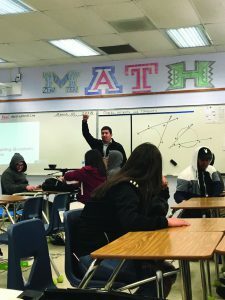 Other content is contextual to teaching in borderland schools and includes sessions on Resilience in the Classroom, Addressing Recent Gun Violence in Schools and Growth Mindset in the Classroom. In addition to sessions on Deferred Action for Childhood Arrivals (DACA) and on Understanding Immigration Policy and Supporting DACA Students. There are also sessions on Bringing Environmental Justice into the Classroom, Birding through Citizen Science and The Intersectionality of Border Pedagogies in Secondary Education. Dr Kralovec recognises that one of the biggest problems in secondary education is the retention of qualified teachers, particularly in STEM subjects. The education background that goes with obtaining STEM certifications can be arduous, and many potential STEM educators choose to pursue more lucrative careers rather than going into secondary education that can be a challenging career with low financial return. This is particularly true in Arizona, where teacher pay ranks 49th in the nation and investment in public schools is poor. In addition to professional development support, the Noyce Border Scholars receive two years of retention support with continued coaching and peer support from university faculty. This is along with participation in the monthly TES sessions that help build a STEM educator support community, while simultaneously providing additional pedagogical content knowledge. Thanks to ongoing support, UAS MEd students remain in teaching positions longer than the national average, providing ongoing high-quality education to borderlands students. 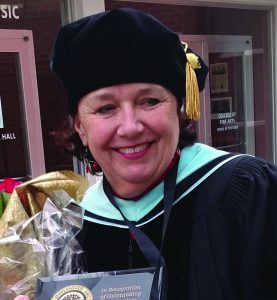 Etta Kralovec obtained her Doctor of Education in philosophy from Columbia University, with a dissertation that explored the philosophy of John Dewey in the context of ecological thinking. She went on to serve in numerous educational leadership positions in prestigious institutions across the United States, including the College of the Atlantic and Pepperdine University, also receiving a Fulbright Fellowship to join the faculty of Africa University, Zimbabwe for a year. She joined the faculty of the University of Arizona, South (UA South), in 2006, and is currently Professor of teacher education and Co-PI on a National Science Foundation grant. Dr Kralovec has received many awards for her contributions to education including the Distinguished Outreach Faculty Award from the University of Arizona in 2015 and the Distinguished Alumni Award from Teachers College, Columbia University in 2018 and from Lewis and Clark College in 2002. In 2017, she received an honorary MPhil degree in Human Ecology from College of the Atlantic. She has published widely in both the popular press and in academic journals including many books on rethinking educational practices for the 21st century, including, The End of Homework, Schools that Do Too Much, and Identity in Metamorphosis. 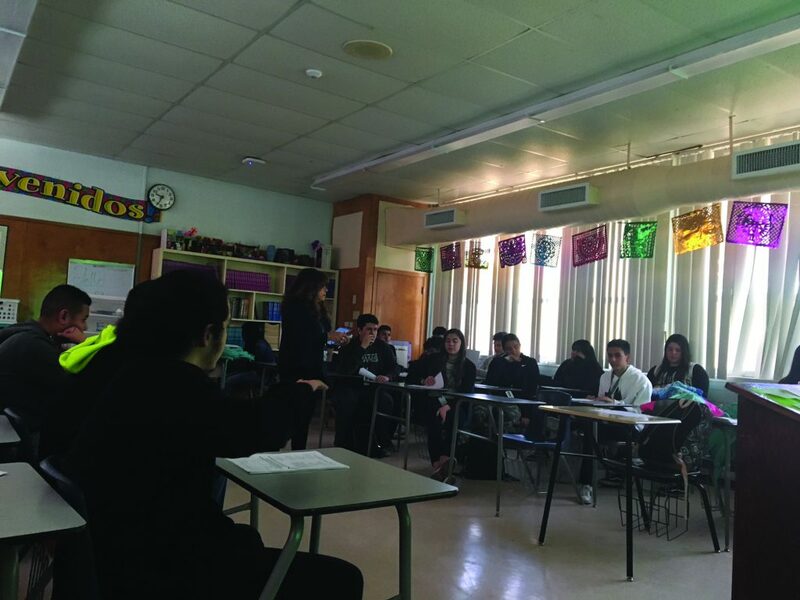 Under her direction, the MEd program in secondary education at UA South has developed a contextualised approach to preparing teachers for border schools, preparing critically conscious teachers for the complex border educational environment. It has received over three million dollars in federal funds to prepare science, technology, engineering and math (STEM) teachers for schools in Arizona border communities and the program was awarded the Peter Likins Inclusive Excellence Award from the University of Arizona in 2015. This material is based upon work supported by the National Science Foundation under Grant # 1557396. Any opinions, findings, and conclusions or recommendations expressed in this material are those of the author(s) and do not necessarily reflect the views of the National Science Foundation.